The social dimension of trade policy and trade liberalisation is now a common topic in many official trade fora. However, this discussion is proceeding with little or no attention to the different needs, constraints and interests of women. At the same time, it is increasingly recognised that simply paying attention to general targets and commitments to poverty eradication or sustainable development will not solve the problems of gender discrimination and the lack of economic and social advancement that still plague the lives of millions of women in developing countries. This handbook provides an integrated framework for a sustainable, pro-poor and gender-sensitive approach to trade policy-making. A major part of the silence around gender, trade and investment at the level of governance of the trading system would appear to be a lack of understanding of the conceptual, empirical and policy links between gender and trade. Paradoxically, along with the view that trade policies are gender blind there is also an underlying popular viewpoint among some trade scholars and trade policy decision-makers that trade liberalisation has unambiguously benefited women in terms of widespread employment. Emerging evidence shows that trade liberalisation can have both positive and negative effects on women's economic and social status. 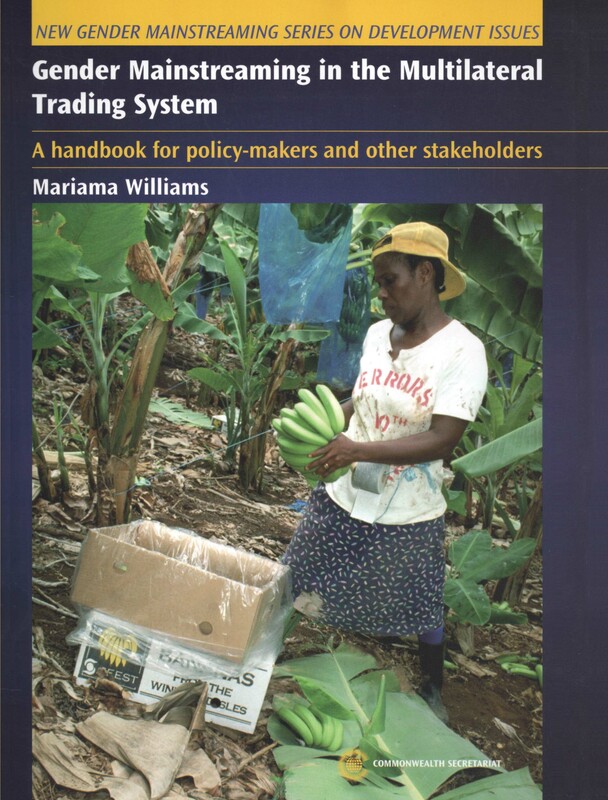 This handbook is intended to serve as an information and training tool for policy-makers and inter governmental and civil society organisations interested in building and enhancing their knowledge of the important linkages between trade and investment policy and gender equality objectives and priorities. It also presents recommendations on the key issues as well as the identification of strategies that could be utilised by different stakeholders. Mariama Williams, Ph.D. is an international economics and gender consultant, the Research Adviser for the International Gender and Trade Network (ITGN), a Director of the Institute for Law and Economics (ILE-Jamaica) and a member of Development Alternatives with Women for a New Era (DAWN). Mariama Williams is an international economics consultant and an Adjunct Associate at the Centre of Concern, Washington, DC. She is also the Research Adviser for the International Gender and Trade Network (IGTN).